An unusual entry from classic slot Sevens and Stripes and popular video slot Ocean Dreams head this month's winner's list at Rushmore Casino. Sevens and Stripes is not normally in the Winner's Corner at Rushmore Casino. In March however, lucky player Tami J won $48,575 win on this simple, 3-reel slot. 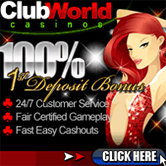 It awards a top payout of between 2,400 and 10,000 coins depending on the number of coins wagered. Also in the Winner's Corner is video slot Ocean Dreams. Colleen A won $31,051 on this slot, which awards a top jackpot payout of 40,000 coins. Next, Manuel F won $29,597 playing medieval-themed slot Mystic Dragon, which boasts a top fixed jackpot payout of 20,000 coins, a progressive jackpot and up to 100 free spins with doubled payouts. George J won $14,963 playing Rushmore Riches, a custom slot exclusive to Rushmore Casino. It has symbols of the four presidents on Mount Rushmore as well as a dollar sign and the American flag. Paradise Dreams, T-Rex and Coyote Cash also made the March list.